After a spectacular night of fights at “UFC 116: Lesnar vs. Carwin,” company president Dana White awarded Gerald Harris, Brock Lesnar, Stephan Bonnar, Krzysztof Soszynski, Chris Leben and Yoshihiro Akiyama an extra $75,000 each for their special performances inside the MGM Grand Garden Arena in Las Vegas, Nevada. Harris won his award after stopping UFC rookie Dave Branch with a Quinton “Rampage” Jackson-esque power slam. Harris managed to wiggle free from Branch’s standing guillotine attempt and put Branch to sleep in the 3rdRound. Leben and Akiyama put on one of the most exciting scraps of the year. Their teeter-totter affair ended with just 20 ticks remaining after Leben secured a triangle choke. Soszynski and Bonnar took home co-Fight of the Night honors after Bonnar rallied to post an exciting come-from-behind 3rdRound TKO. Lesnar pocketed his dough after submitting interim champ Shane Carwin and unifying the heavyweight crown. After surviving a 1stRound barrage, the former WWE superstar pushed Carwin towards uncharted territory. 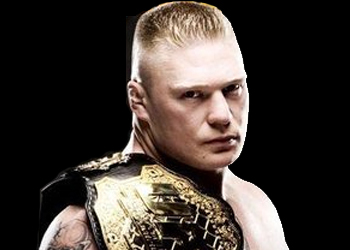 Lesnar used his Division I wrasslin’ skills to take Carwin down in the 2ndRound and submitted him with an arm-triangle choke.